A Highland Fling, The Scottish Music Shop - The Best Selection of Scottish CDs and Scottish DVDs. 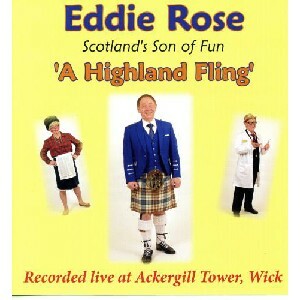 'A Highland Fling' features family comedy and some good Scottish singing backed by the Brandon McPhee Band. The show was recorded in front of an audience at Summer Palace, Ackergill Tower near Wick.